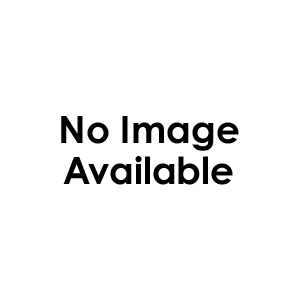 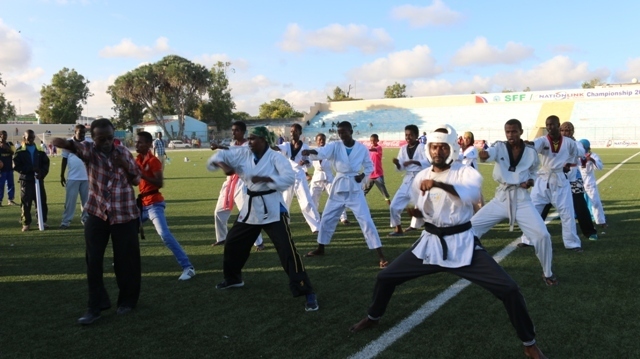 Somalia celebrates International Day of Sports for DP. 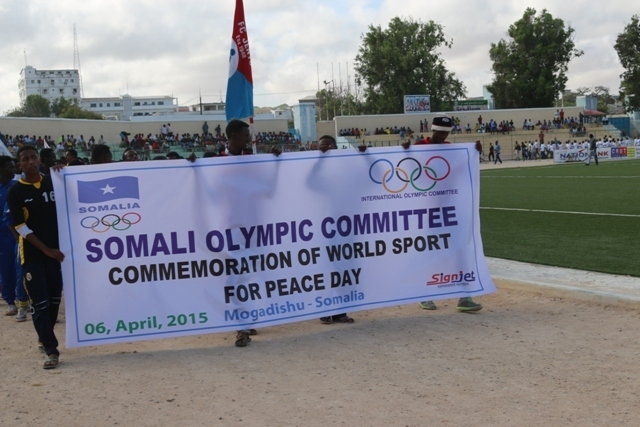 As Monday marks the second anniversary of International Day of Sports for Development and Peace, Somali Olympic Committee with its affiliates and ministry of youth and sports has honoured the day with the purpose of highlighting the power of sport for social change and encouraging community to remove the barriers that divides them. 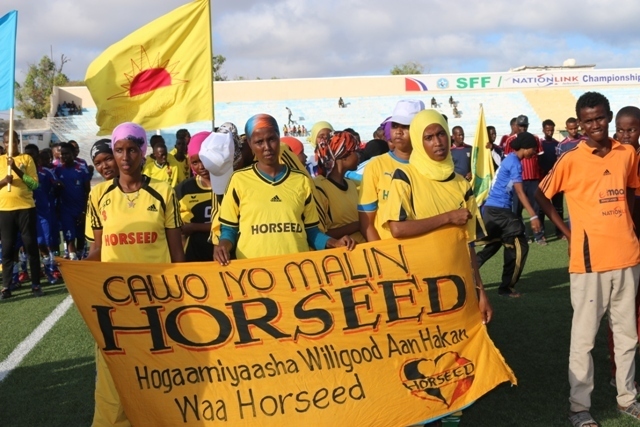 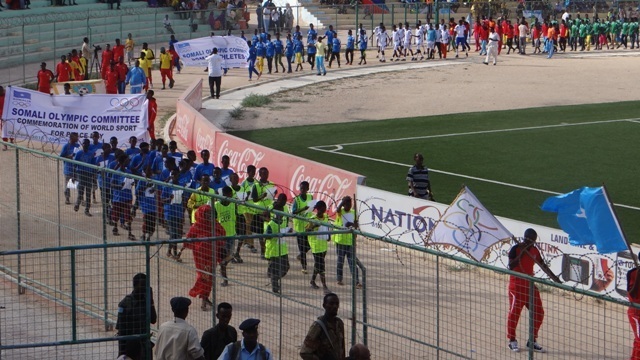 The deputy minister of Youth and Sports, deputy mayor of Mogadishu, Somali Olympic Committee President, presidents of national federations and associations, former professionals, other distinguished guests and More than 1000 athletes, students and supporters, were gathered at the only functioning football stadium in the capital, Banadir Stadium, to celebrate the IDSDP and to advocate for building a better future for Somali youth through sports. 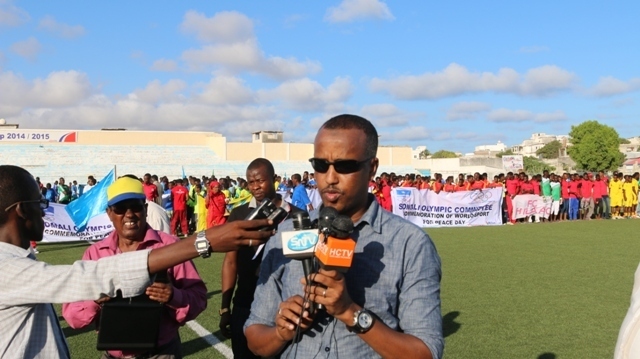 General Secretary of NOCSOM Duran Farah who started to address the gathering underlined the importance of the day and the role sports can play promoting a much required peace to Somali society. 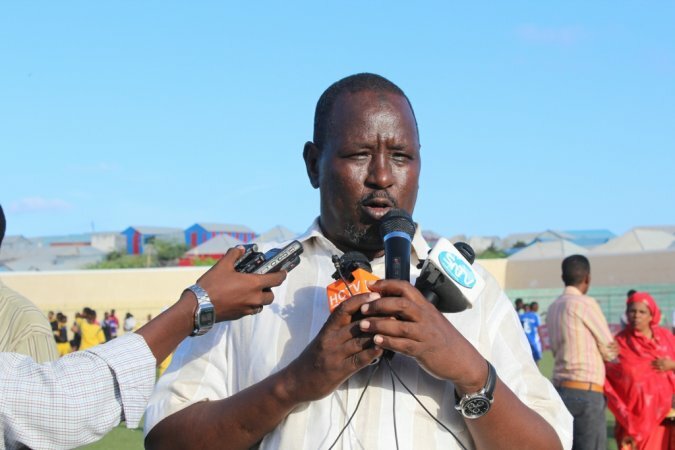 Senior vice president of Somali Football Federation Ali Abdi Mohamed known as Ali Shino has expressed his appreciation towards both IDSDP and Somali Athletes day and mentioned that all of 25 registered football Clubs are at the Stadium to show solidarity and vowed to continue supporting Somali Olympic Committee’s efforts to value the Nation’s athletes. 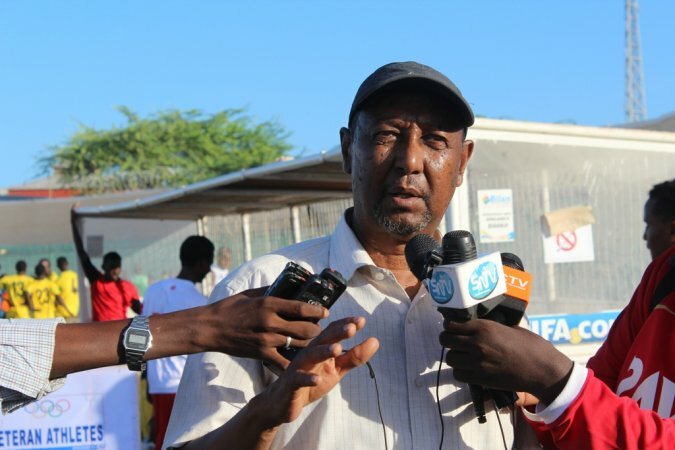 Ahmed Abas Busuri who represented Somalia as a footballer in early eighties has on behalf of Somali athletes praised Somali Olympic Committee and its colleagues for marking 6th of April as Somali Athletes Day and urged all former and current athletes to be part of this remembrance as well as continuing contributing towards building a better society. 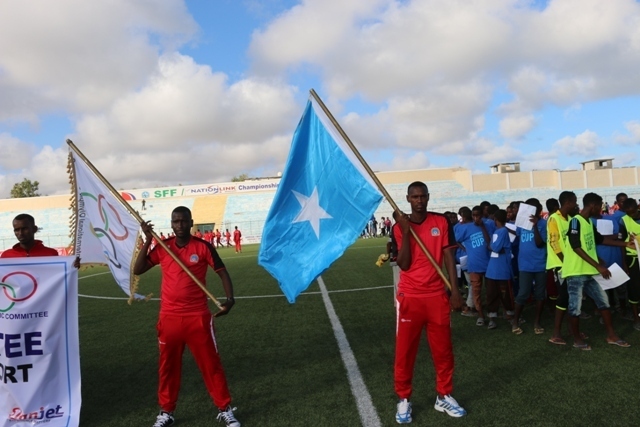 President of Somali Olympic Committee Abdullahi ahmed Tarabi has outlined the significance of IDSDP, how sports can transform lives and smash the differences among people. 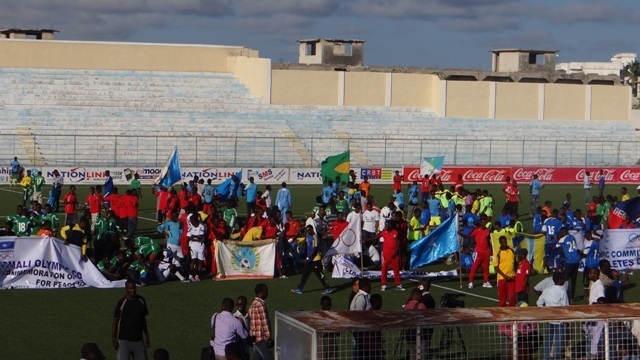 The vibrant event was concluded by the deputy minister of Somali Youth and Sports ministry Osman Aden Dhubow who similarly to previous speakers pay tribute to Somali Olympic Committee and its colleagues for organizing such a magnificent festival. 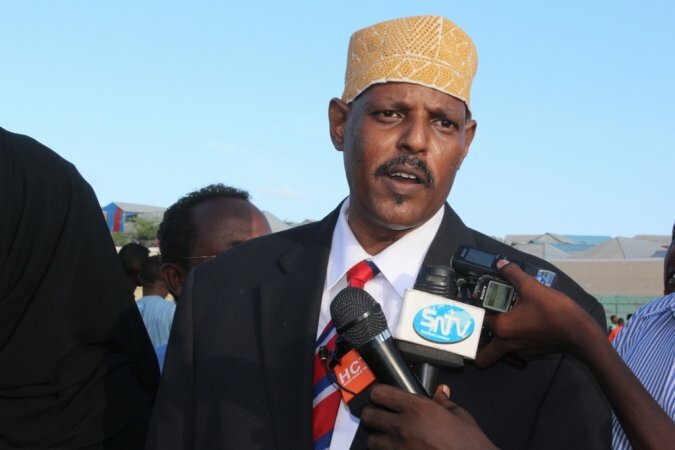 "I am very excited to celebrate with you today at this historic occasion. 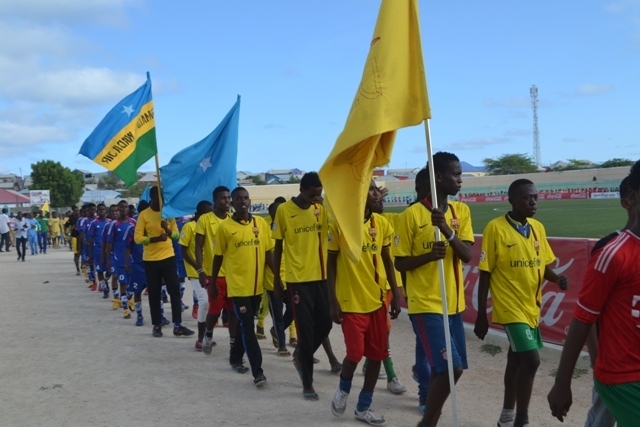 Sports can play a vital role for our government's plan to bring our people together and free from its difference. 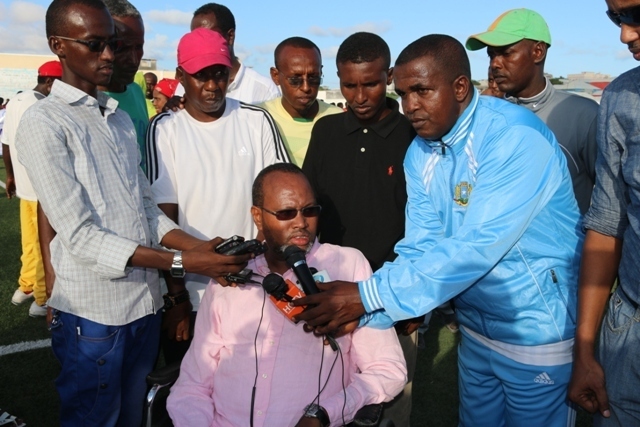 As a ministry we will do everything in our capability to support you and I am certain that together we will be able to empower youth and create public unity among the young generation through sports". 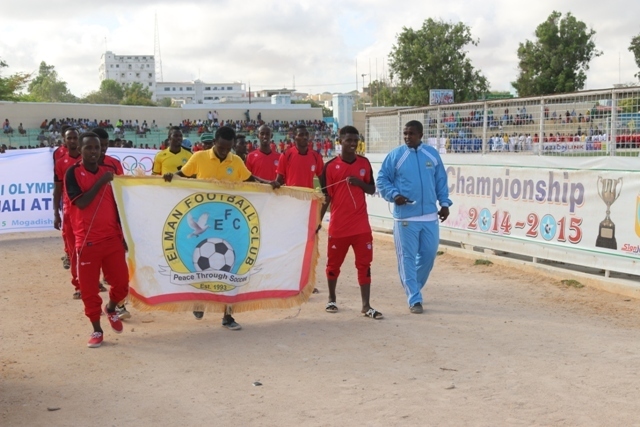 The deputy minister of Somali Sports and youth ministry wrapped up the commemoration of ISDPD here in Mogadishu, Somalia.